On the 12th of August, 2015 MedHouse Kazakhstan LLC being a member of Medpack Swiss Group celebrated 5 year anniversary since the moment of its establishing. Despite of such a short period of its existing the company has already become one of the leading distributors on the market of medical equipment and medical goods in Kazakhstan. Every week the employees of the company supply the whole range of products offered to more than 2 thousand drug stores, giving an opportunity to all its customers to choose and buy the high quality goods. 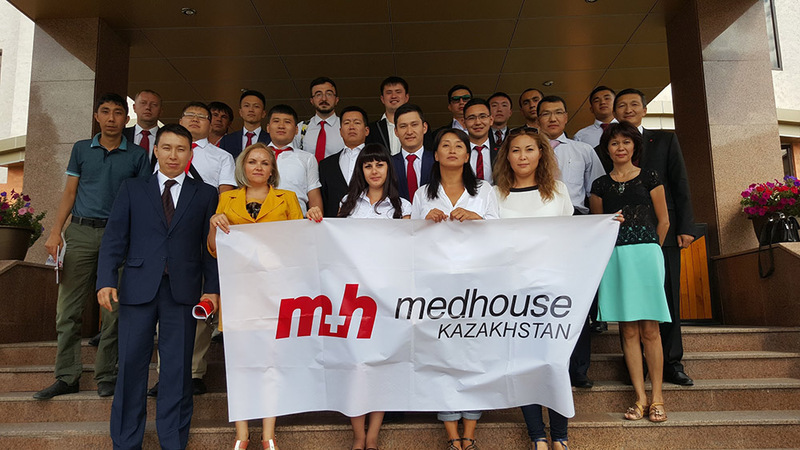 On the eve of the anniversary, on August 05-06, a great meeting of all the sales representatives of MedHouse Kazakstan LLC was held in the head office of the company. During the meeting the results of the activity were reviewed as well as plans were discussed for the nearest future. Among the guests of the event there was Mr. Ahmet Salak who had a speech and presented Abena products to the auditory on August 06, 2016. Moreover Mini Football Cup of MedHouse Kazakhstan was held during the meeting. The friendly team of the company expresses its sincere gratitude to all its partners and customers for their support and contribution into the common case.